This was such a great wedding reception. Their reception and dinner were held at a small restaurant/cafe in Charleston, South Carolina. 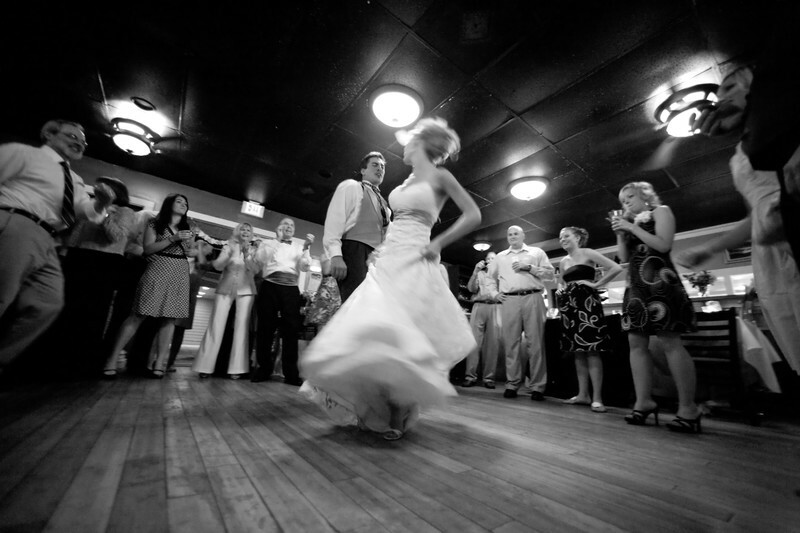 For this photo I used a fast super wide 14mm Canon lens and deliberately used a slowish shutter speed to show the motion on the dance floor. I think I left the reception at the same time the bride and groom left. 1/30; f/2.8; ISO 1600; 14.0 mm.